If Miss Muffet can’t use my head as a seat she will stick her feet in my face. 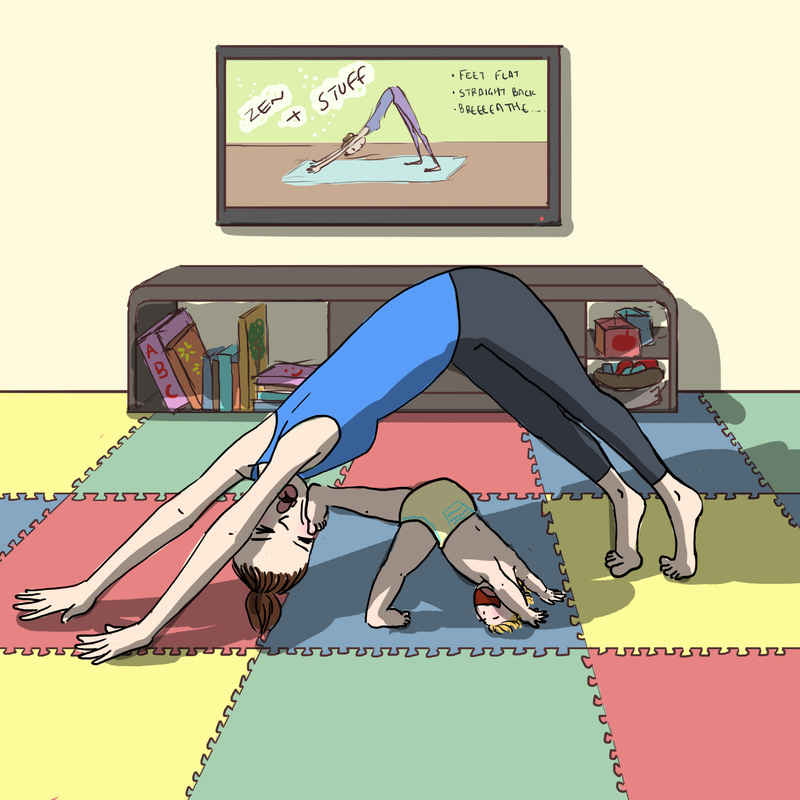 She will do this while in Downward-facing dog pose too. At least she is keeping to the theme. I’m quite annoyed she is so much better at this than me. Look at my rounded back and my far-from-flat feet. Her form is perfect. I think she is actually trying to walk upside down while using my face as leverage. Otherwise she just likes doing unpleasant things to the woman who bore her for 9 months (half of which was consumed by chronic morning sickness, the other comprising of constant false labour) and then suffered through 6 months of infant reflux which almost destroyed her. I like to believe it’s the former. The Lioness isn’t wearing her Lion diapers? Downward-facing dog pose and pup….just adds to your skill at focus, meditation, and delightful story-telling.